My name is Kiera Packer and I am from the Melba FFA chapter. 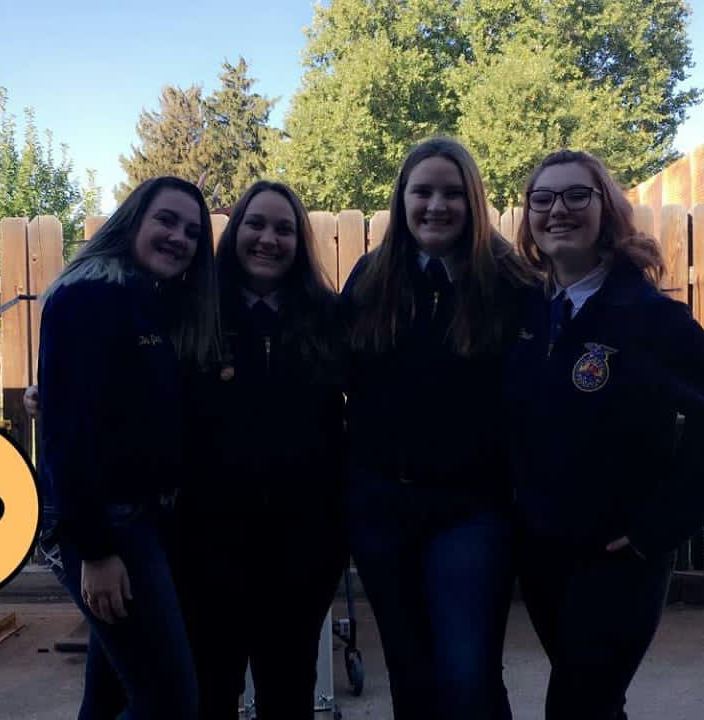 There are three main pieces of advice that I would give to new FFA members: get involved, step out of your comfort zone, and take in everything. Get involved. The FFA experience is not complete if you are not an involved member. Every experience in this amazing organization is life-changing. Being an involved member means being that person that steps up to help. It means signing up for almost everything that you can. It means growing as an FFA member through your experiences to be the best person that you can be. Being involved lets you have the most out of your few short years in FFA. Step out of your comfort zone. I was quiet and shy when I joined FFA. I did not talk very much in general, let alone did I do well with public speaking. I got more comfortable with public speaking when I first competed in Creed Speaking. I have met so many new people. Meeting all those people has made me comfortable with talking to new people. FFA made me experience more and go outside of my comfort zone. This year I competed in Milk Quality and Products. I have never competed in this CDE before. I’m glad that I did because I learned more about these products and was able to work with some of my fellow members in a competition that they also had never competed in before. Take the chances to try something new. I remember when I took the chance of running for chapter officer. I was so nervous. However, I am now the Melba FFA President and the Boise Valley District Secretary because I took that chance. I am so glad that I stepped out of my comfort zone. Take in everything. Your years in FFA will fly by. Take in every moment. You will meet some of the most amazing people. I have met people from all over the country that share the same passion for FFA and agriculture as I do, and those memories that I’ve made are unforgettable. You will learn more about yourself and how you fit into agriculture through your experiences. You will find yourself. My years in FFA have been nothing short of incredible. I am so thankful for all my experiences, and I am thankful that I took everything in. I hope that this advice helped and inspired you to what you can fulfill in FFA. This organization has given me so much, and I wish the same for each of you. Be involved, step out of your comfort zone, and take everything in Idaho FFA. Kiera, thank you for sharing your wisdom with us! We are proud to have you as a member in the Idaho FFA Association.